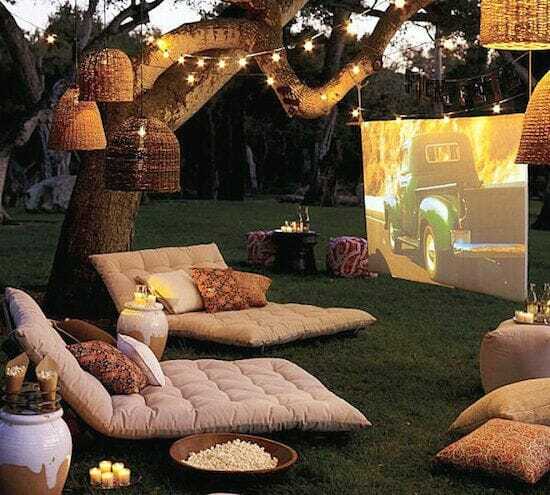 Warming weather always leads to innovating beautiful outdoor spaces. 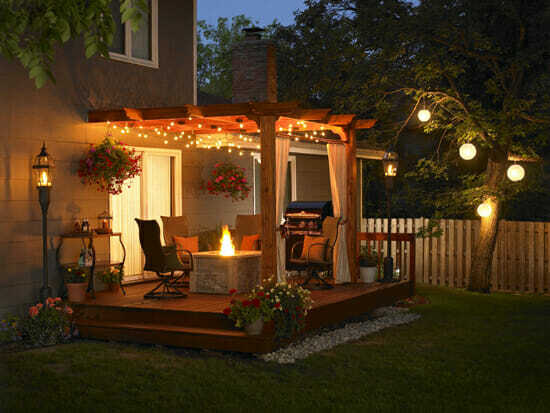 Patios, balconies, and yards get their time to shine – both in the sun and as focal areas for design! With upcoming three day weekends and summer holidays, there are great excuses to spruce up exteriors as attractive places to kick back and relax. 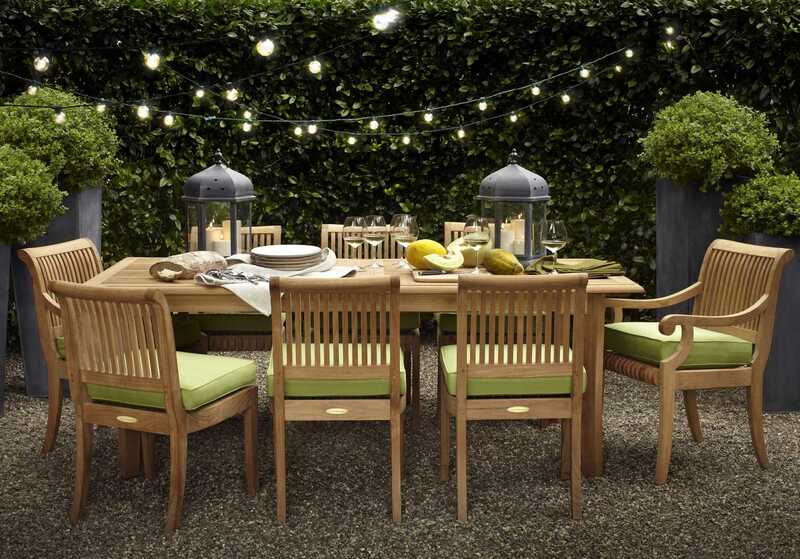 What’s needed to get your outdoor design off to a great start? Check out some of our suggested pieces this season. There’s nothing like finding a spot outside to take in fresh air and enjoy the scenery. Getting comfy in a chair under the sun or gently swaying into an afternoon nap in a lovely hammock are a couple of great ways to go. 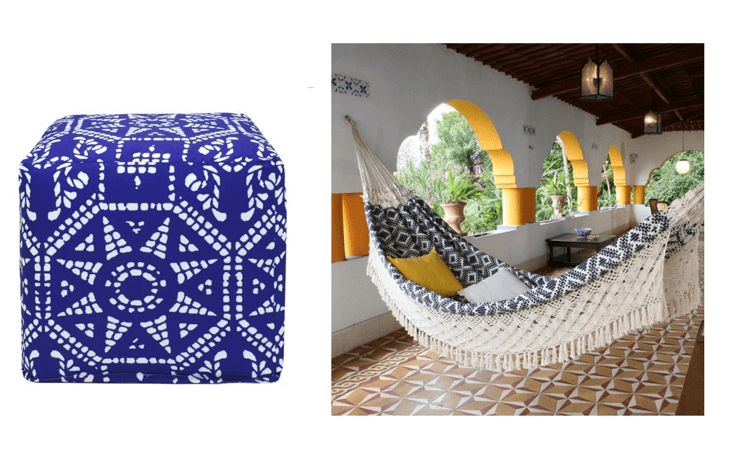 Beckon a beachy style with blue and white patterned cushions or poufs like this one spotted on One Kings Lane which is perfect as a foot rest, to set a tray of cool drinks, or use as added seating for guests. 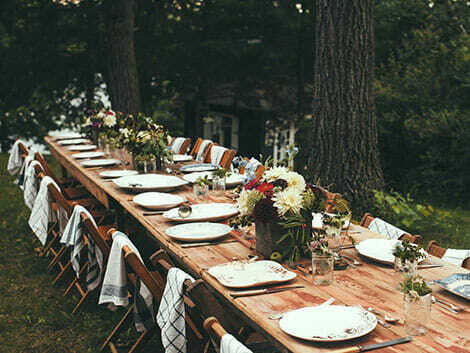 Sharing a meal al fresco is a favorite summer past-time. Introduce pops of color on your outdoor table with fun patterned napkins or plate ware and serving trays like these from Anthropologie. Wanting something more simplistic? 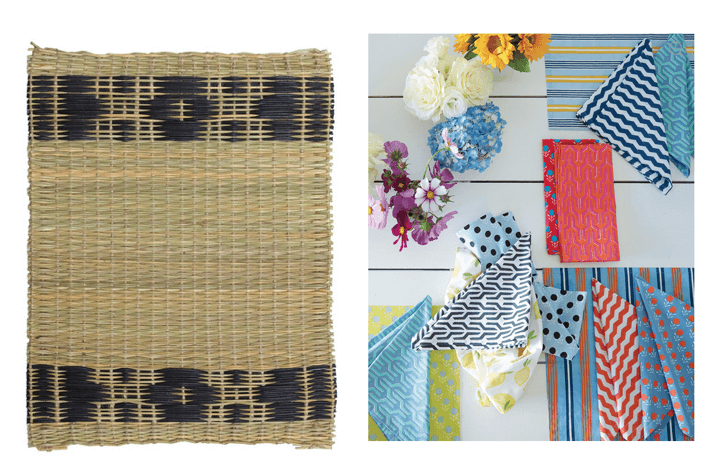 Go natural and rustic with sisal rugs or seagrass placemats. Setting the mood is easy with the right lighting. 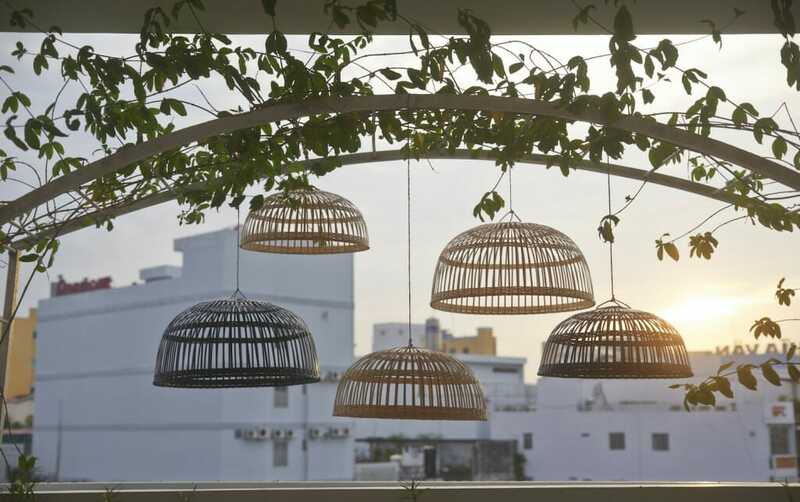 Extend outdoor night gatherings by stringing lights across your exterior space, hanging pendants of natural materials, or including kinetic pieces like candles or these gorgeous prism lanterns found on Dot + Bo. Need a little more guidance? 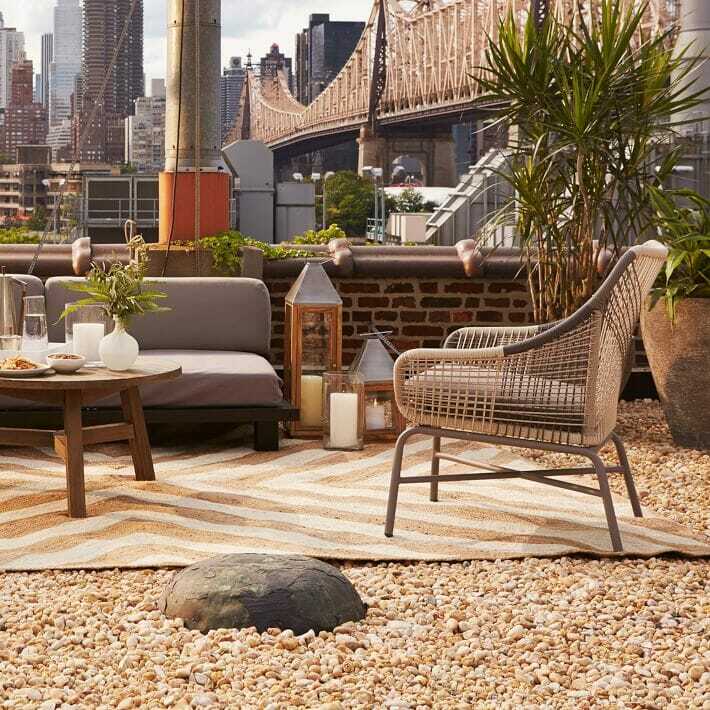 Read our post on best ways to make the most of small patios or contact a Decorilla designer for a consultation on your outdoor design.